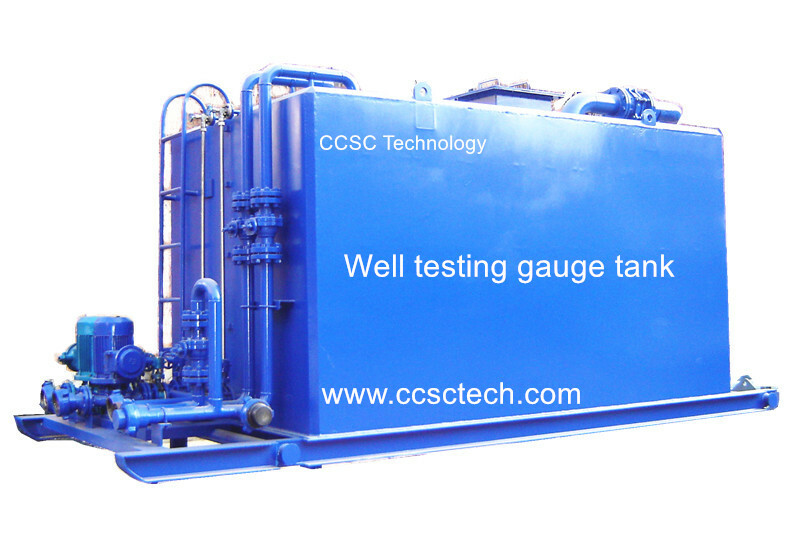 Atmospheric gauge tank is a kind of storage tank well testing gauge tank which is widely used for surface well testing and frac flowback operations. The mainly function of the Atmospheric gauge tank is a kind of nonpressurized vessel for measuring low flow rates from a 3 phase separator, calibrating of oil metering and water metering devices on the separator oil lines, measurement of a large volume of oil at atmospheric pressure and determination of the shrinkage factor. During the well testing operation, if the well production is very low, at this time, we cannot calibrate and measure the oil and water data through flowmeter of a separator, so we can let the fluid (oil and the water) enter into the gauge tank directly, then we can read the data of oil and water production by a related liquid meter. The Liquids inside the gauge tank are either burnt (oil) or transferred to transport tanks (IMO tanks). Atmospheric gauge tank provided by CCSC Technology can be designed in accordance with ASME VIII Division 1 and ASME B31.3 and improved from Expro and Schlumberger well testing Atmospheric gauge tank. All equipment can be designed to withstand a corrosive and salt containing atmosphere with 100% humidity. Usually the gauge tank cannot be used when H2S is present in the effluent because the gas released from the tank is vented to the atmosphere, where it could endanger personnel. 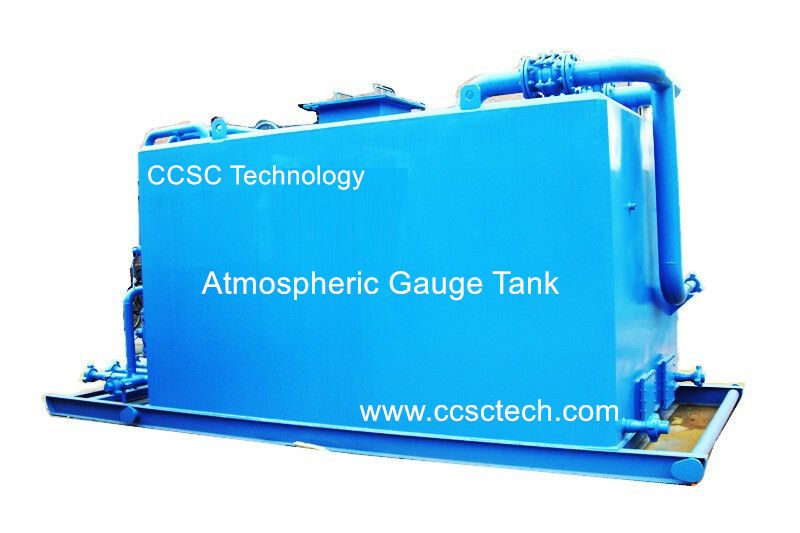 We CCSC Technology are dedicated to improving efficiency and safety in field operations, all kinds of surface well testing Atmospheric gauge tank can be designed and manufactured according to user’s requirements. Both skid-mounted and trailer mounted structure are available.